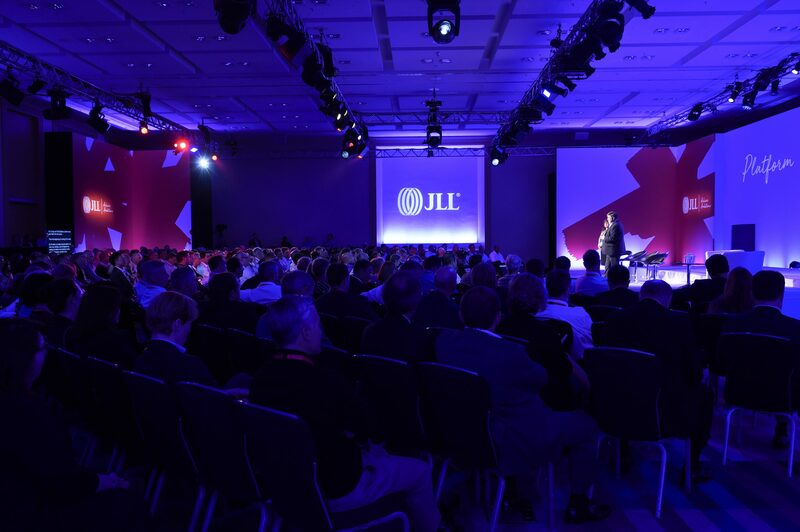 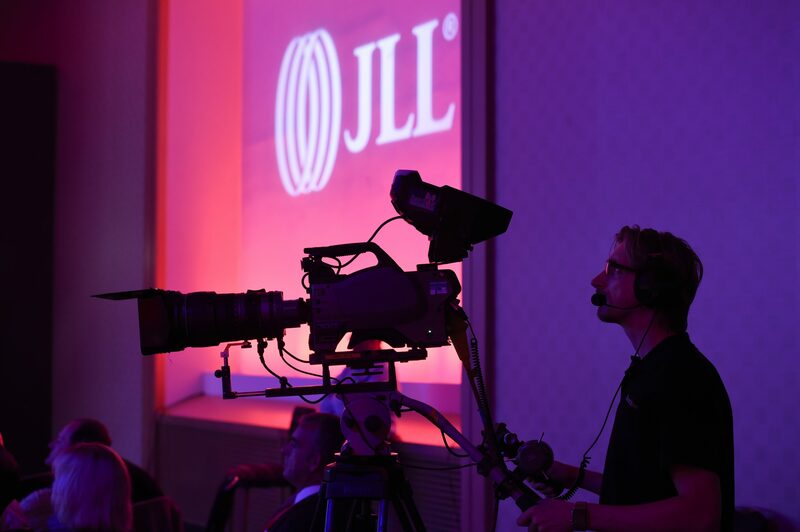 The beautiful city of Vienna played host to the 2017 JLL International Directors’ event,a key gathering of all the senior JLL Board members,regional heads and IDs descending upon the Hilton Vienna Stadtpark in September for a three day programme of strategy, networking, breakouts and exhibition. 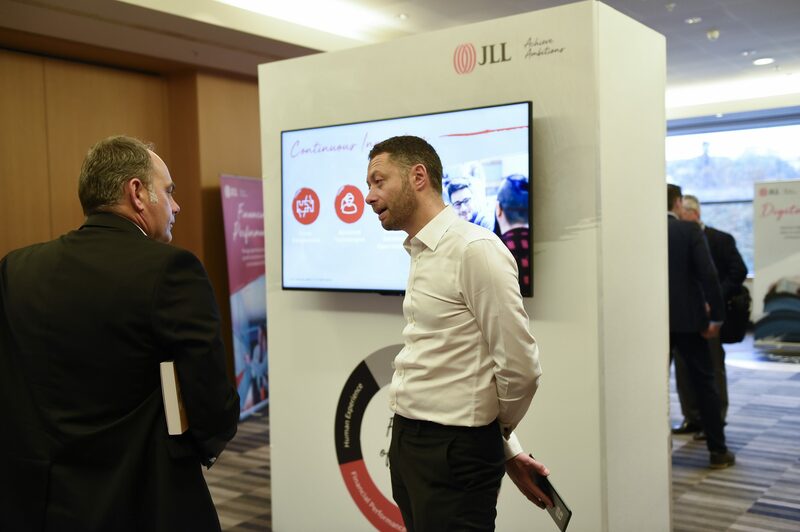 Planning work commenced for the event around 18 months out, with our team working alongside JLL Global Communications to establish how the venue could be used to best effect for the varied programme over the duration of the occupancy. 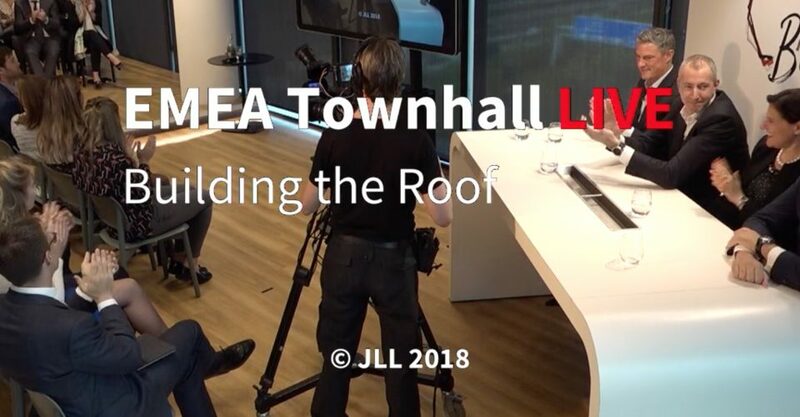 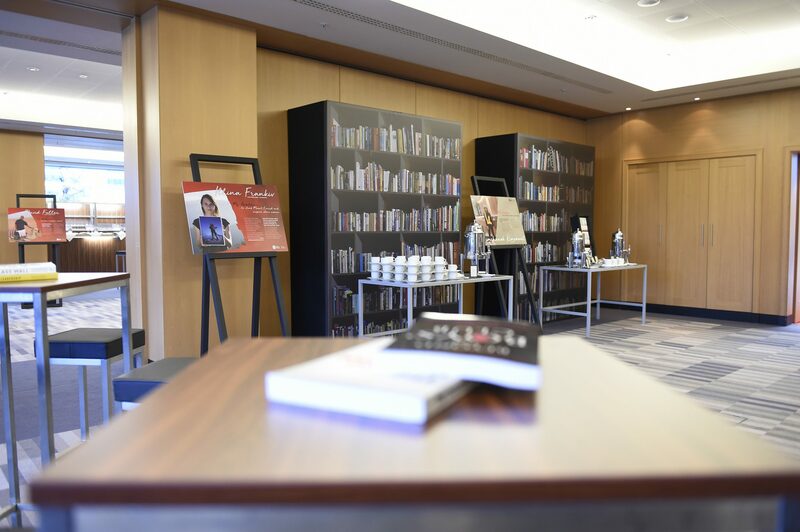 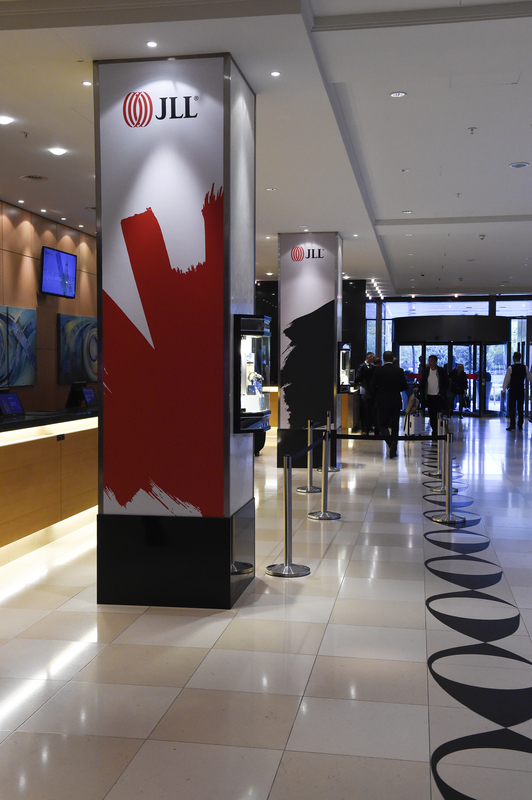 One of the key deliverables was that of branding – how to turn essentially a typical Hilton into a JLL space using as many available surfaces and structural aspects as possible. 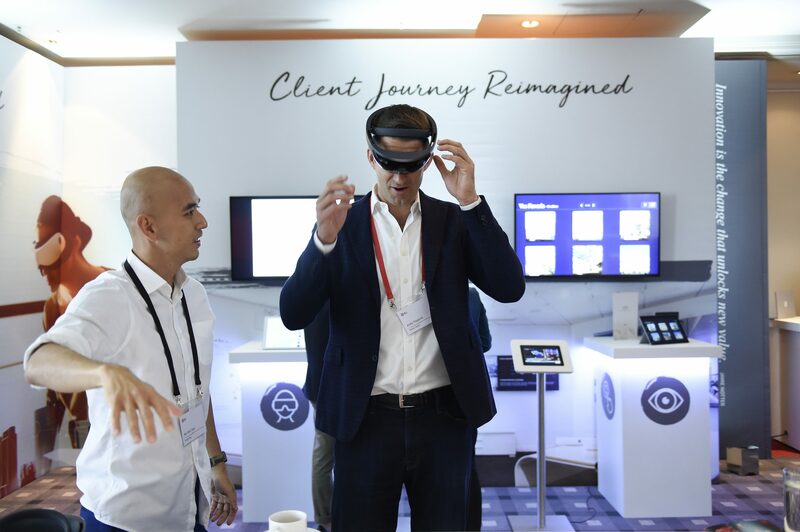 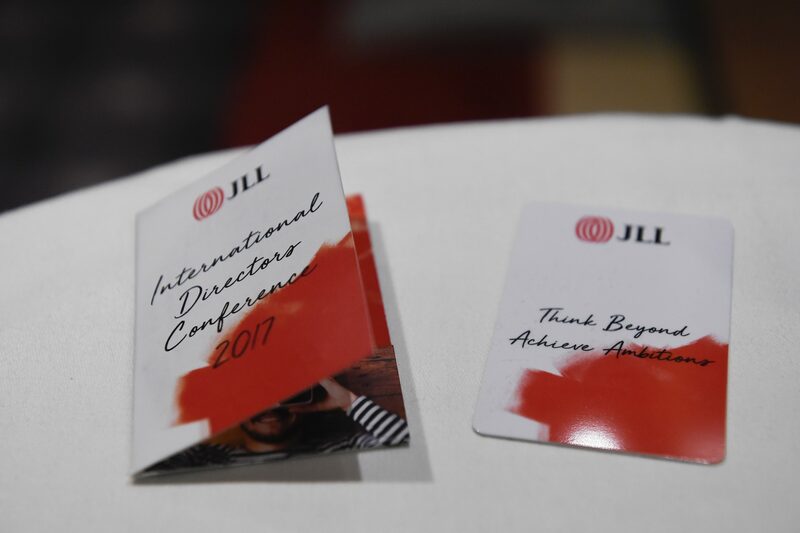 The team achieved this with ‘gusto’ creating eye-catching graphics and applications in all areas of the hotel and conference spaces using the new JLL branding attributes. 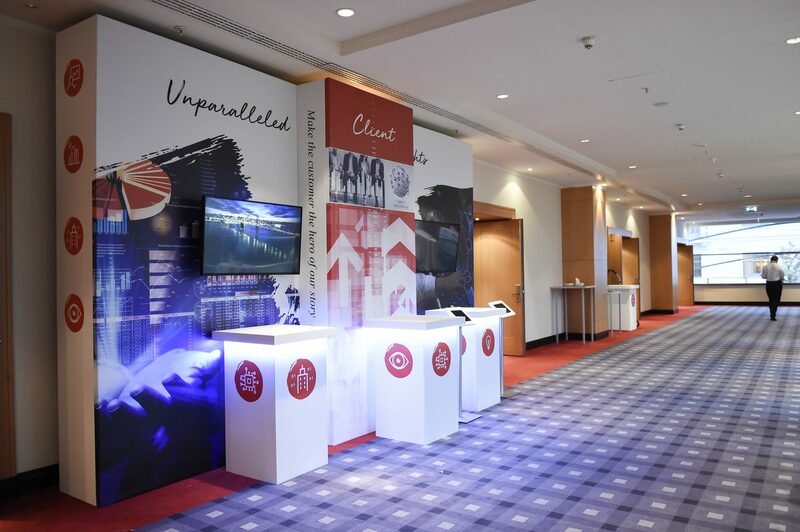 Targeted exhibition areas were also on the menu, again challenging the team to find ergonomically viable space to house a series of bespoke but clever demonstration pods and expo stands. 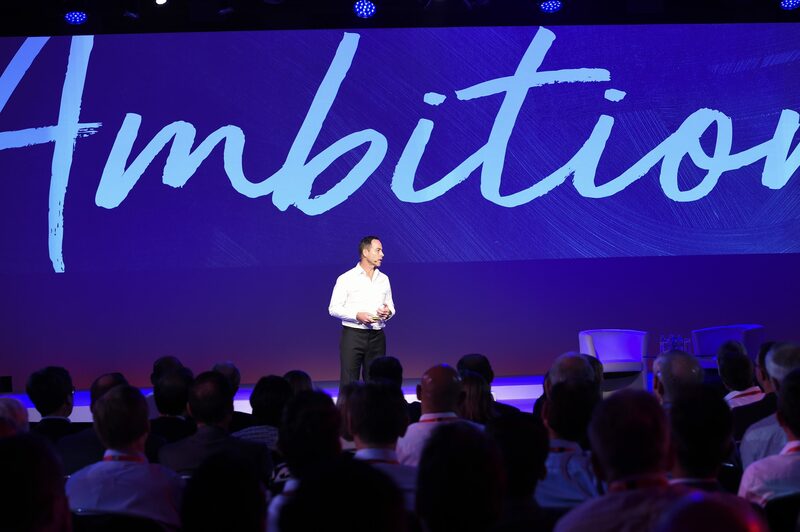 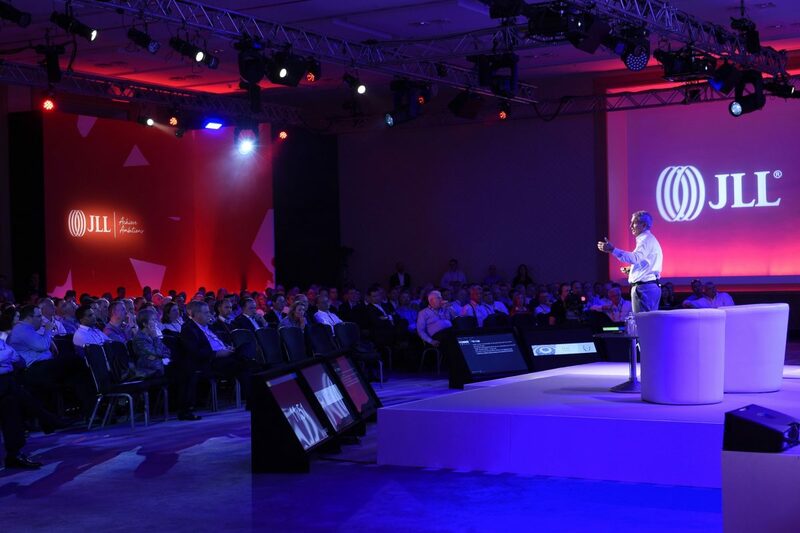 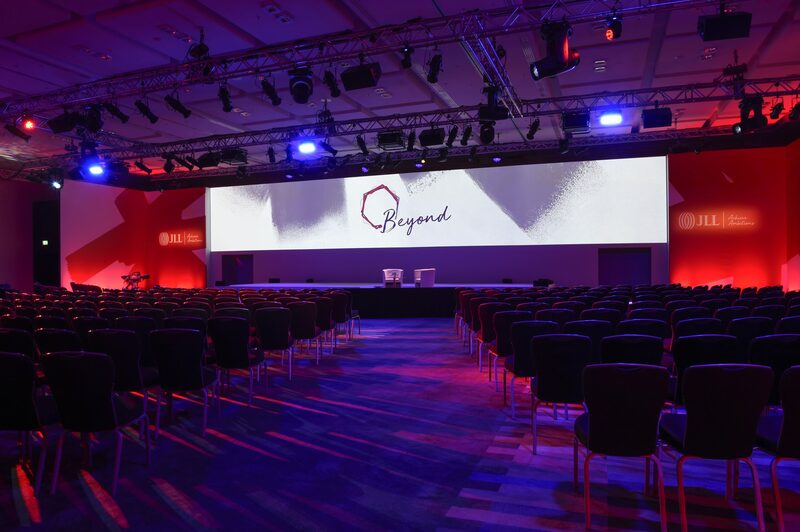 The main plenary needed to excite as well.We created a wonderful auditorium feel within a bland hotel box using large graphic displays and creative lighting. 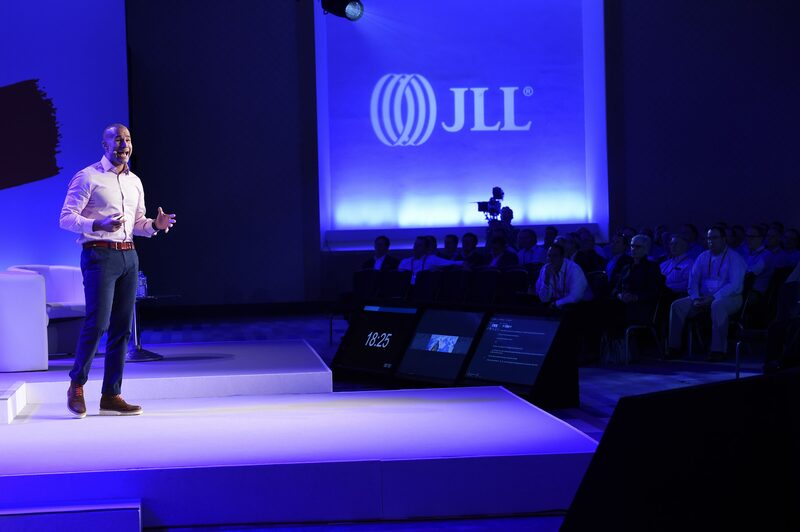 The large stage and very wide screen was eye-catching and dominant allowing for some exceptionally creative screen graphics and speaker support as well as video segments. 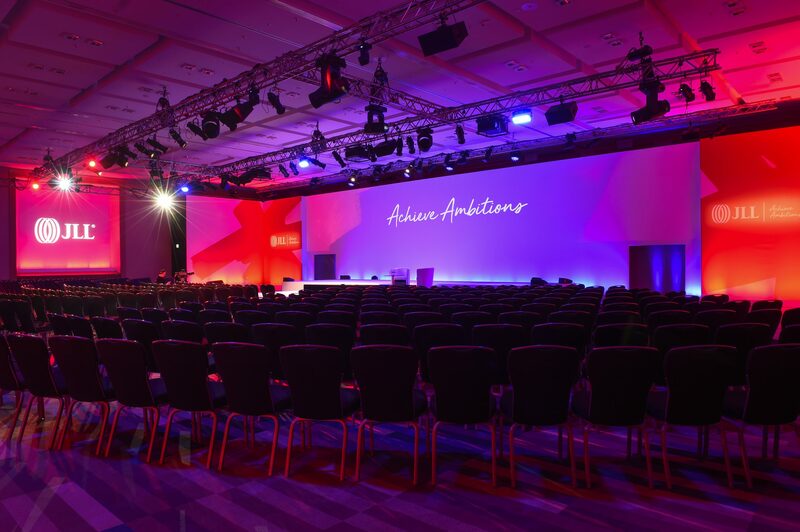 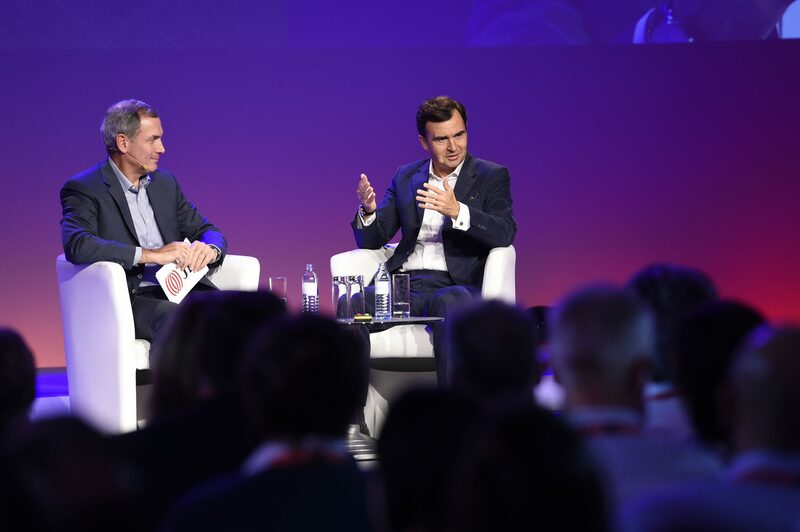 This was a very comfortable set up allowing delegates to really feel part of the stage presentations, with a combination of sweeping room layouts and multiple stage performance positions throughout the agenda. 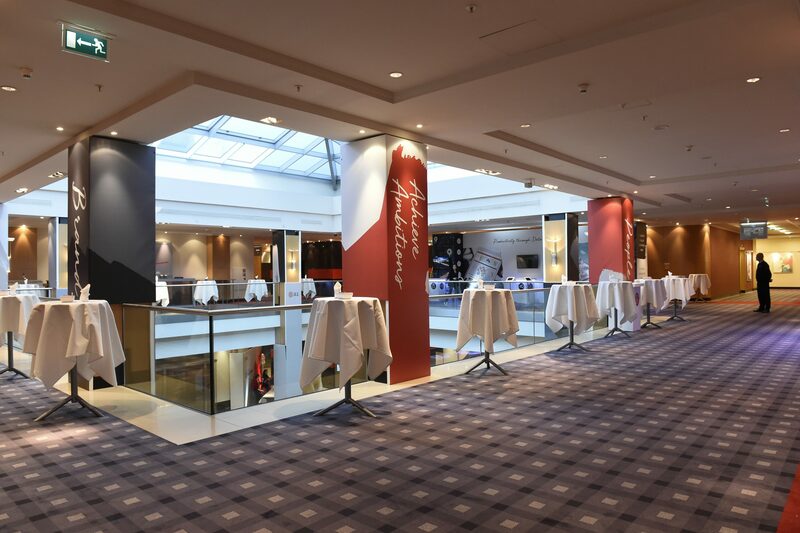 As well as plenary and exhibition, our team had multiple other production deliverables, with very quick turnaround time. 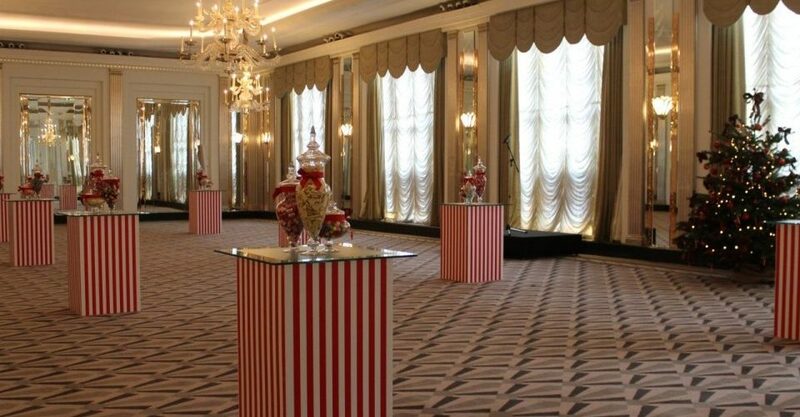 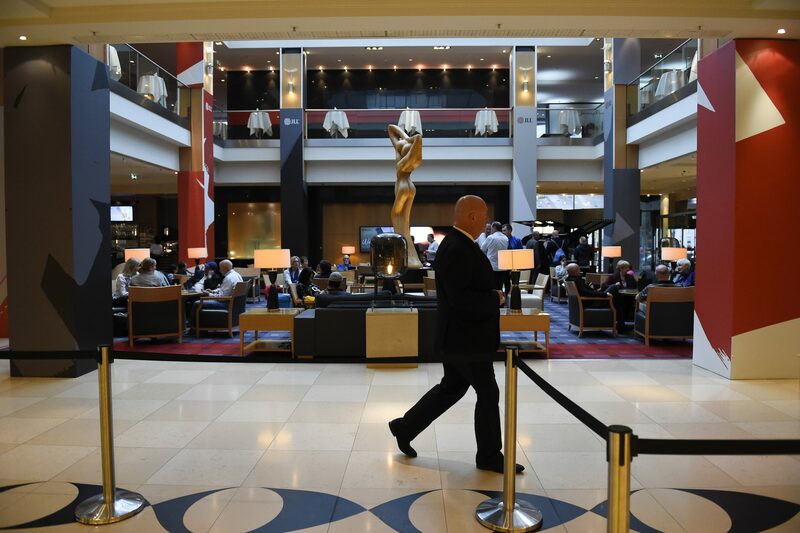 On the Sunday evening, a ‘drop in’ event had to be created in one part of the hotel featuring props and F&B, which then had to be reverted overnight into four separately themed breakout spaces. 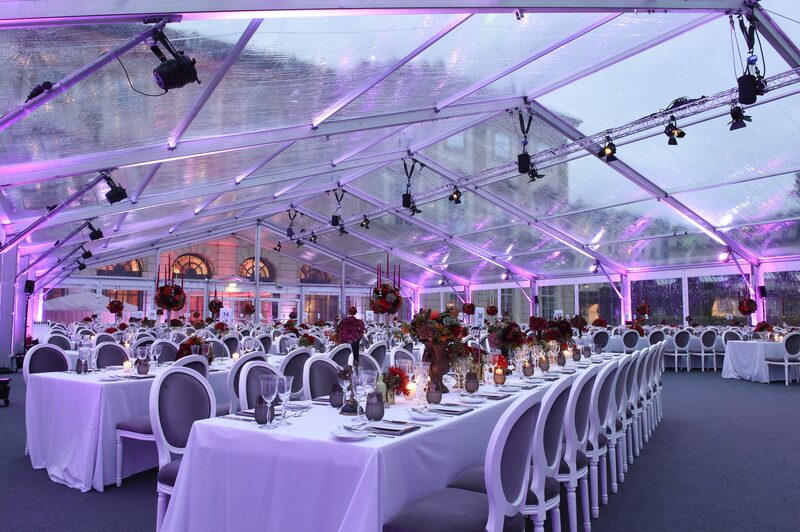 Whilst this was also happening,an evening welcome drinks in an outside venue, the Mak Gallery, was being creatively lit and sound being installed in addition to the whole dressing and food and beverage operation. 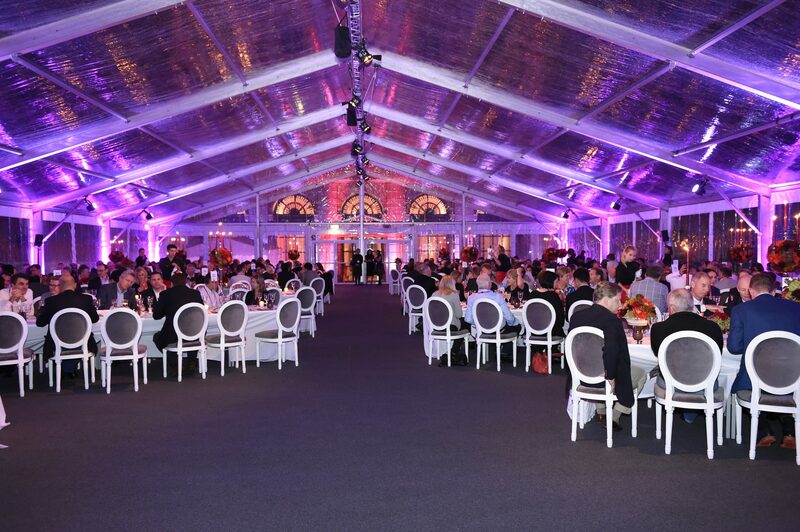 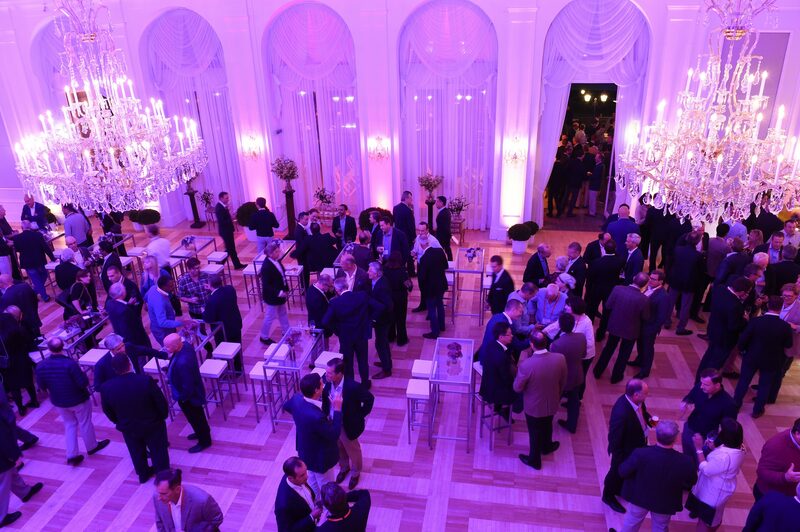 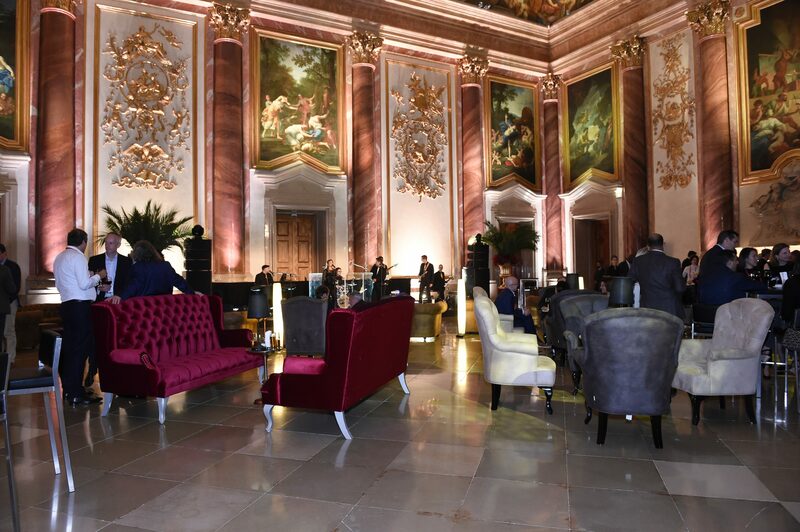 On the Monday whilst the first day of the conference was in motion,the production team were also preparing another offsite venue,the stunning Kursalon in the Stadtpark for an evening dinner with theming, lighting and sound. 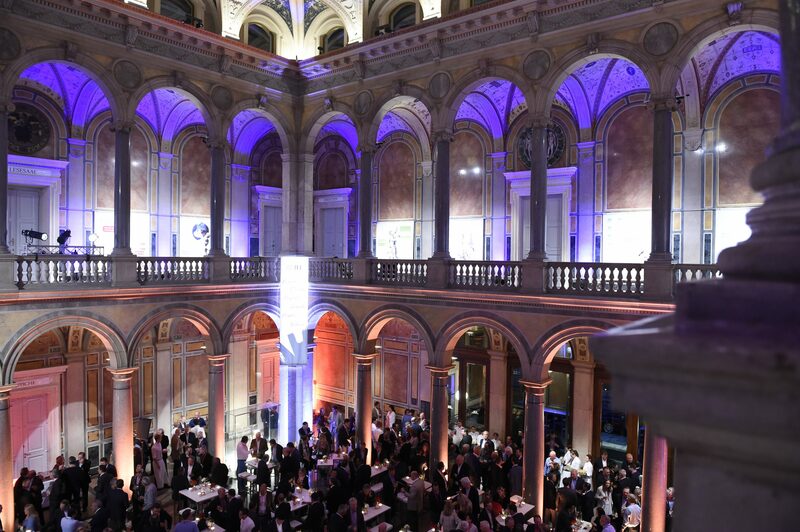 As the Tuesday daytime conference came to a close, delegates were treated to an exclusive Vienna tram trip directly to the Palais Liechtenstein where the production team had constructed a large temporary structure to house the dinner and again creatively lit all the communal spaces within this iconic and beautiful venue. 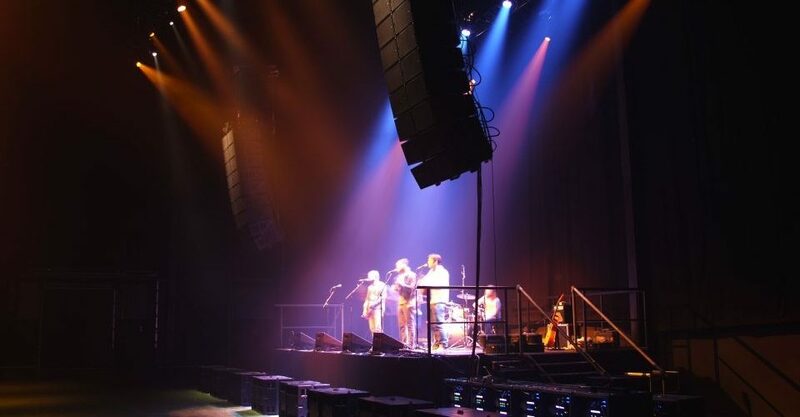 Nexo – a load of speakers !